You close the gap on your championship rival and then the very next race is at your team's spiritual home of Monza - Ferrari's Sebastian Vettel must feel the F1 gods are smiling on him right now. 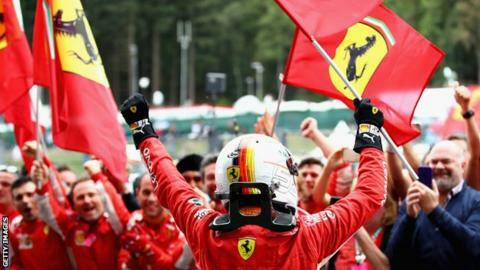 A commanding win in Spa last weekend saw the title deficit cut to 17 points, leaving the man Vettel is chasing, Mercedes' Lewis Hamilton, cutting a concerned figure at the end of the race. The message from Spa-Francorchamps was loud and clear - Ferrari have the fastest car in Formula 1, and where better to press home that advantage than on Monza's famous long straights? A year ago it was Hamilton chasing down the outright lead in the championship, producing a dominant display to vault to the top of the leaderboard. How Vettel would love for the roles to be reversed 12 months on. Who will win at Monza?